TREA is a personalised supplier of apparel, bags and corporate gifts printing in Singapore. We provide one stop design, corporate gift printing and manufacture services on t shirt, apparel, bags, canvas products and a wide range of corporate gifts in Singapore. Each line of products have been chosen with the assurance of quality, style and durability. All products listed here are able to custom printed to your requirements. The importance of a custom printed product is something that TREA does not overlook. We are excited to be a part of your legacy, contact us now for a reasonable wholesale rate! Made from the finest materials, our t shirt and apparel selection will leave you spoilt for choice. 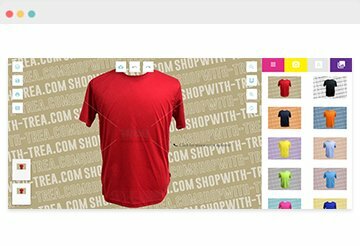 From round neck cotton t shirt, polo t shirt to long sleeve t shirts, varsity jackets to windbreakers. There is an apparel for every occasion and for your employee to dress professionally for special events. Custom printed apparels have become such a norm these days. You can easily identify them no matter where you are going to. From cashiers at fast food restaurants, your food panda delivery guy to primary school children merrily wearing their beloved class t shirts. We have all been exposed to custom printed apparels before. Engage us to print your customised designs on any fabric with premium quality today. Bags speak louder than words. The satisfaction of carrying around your corporate brand logo and customised design on your event goody bag is what we strive to do for you as part of merchandise marketing. A unique goody bag with interesting corporate gifts Singapore ideas in it could be the highlight of your event. The canvas tote bag options range from our in-stock canvas bag to our premium series. Other material promotional bags are also available. Polyester and non-woven bags each have their own strengths in the type of events they are being given out too. TREA provides the most cost efficient bags while not compromising one bit of quality. Speak to us for even more customisation options such as bag size and dimensions on our tote bags selection. The best gifts you receive are often the only ones you remember. Here at TREA, we want you to leave a mark with your own customised corporate gifts. Add a touch of personality with your very own branding to our gifts selection and create the best gifts to bring home. We understand that not knowing which corporate gift to give is often a dilemma that companies face. Our corporate gifts are categorised to help you find specific products that are beneficial to your event. Furthermore, we advise on how to help you enhance your corporate brand image. This is done by providing printing and design tips. We also provide customised packaging on top of your corporate gifts printing. Let us know if you have an idea of a corporate gift that we do not offer and we will be find it for you.